A 20% protein-20% fat milk replacer balanced with amino acids to provide the performance level of a 22% protein-20% fat milk replacer. The milk replacer of choice for those who desire an all milk 22% protein milk replacer. A conventional all milk formulated 22% protein- 20% fat milk replacer. This product is used to supplement pasteurized milk. It is fed at 25 grams per calf per day and provides all the essential fatty acids missing from whole milk. Research has shown it helps improve calf growth as well as immune function. For producers seeking optimum growth – allowing calves to reach full genetic potential efficiently and cost-effectively. Improved starter intake – studies show that calves will begin eating starter sooner than with comparable products, and wean onto starter faster with no post-weaning slump. Easy to manage feeding program often fed at 1.5 lb per head daily. 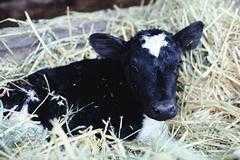 Easy to wean – no post-weaning slump. No “step up” feeding program required.